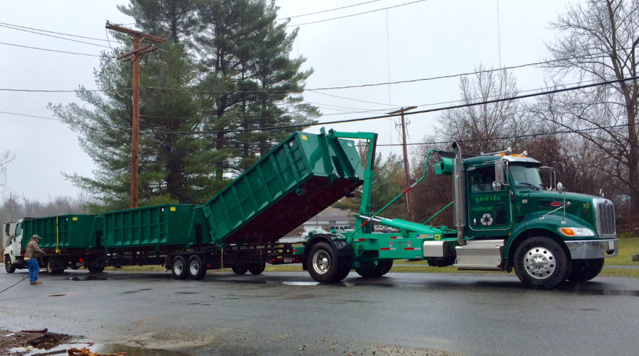 In addition to the great residential refuse service, Orifice Recycling & Refuse also offers ROLL OFF dumpster services fit for any homeowner, contractor, business, project, or event. 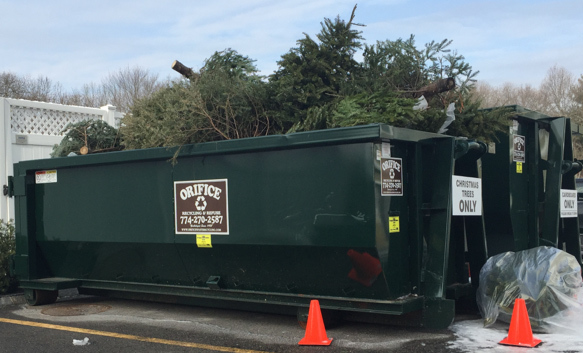 Orifice Recycling & Refuse makes it easy for those clean outs, yard waste clean ups, or any other job your part of, by offering various mid size roll off dumpsters with compatible pricing, and a quick response for delivery and removal. 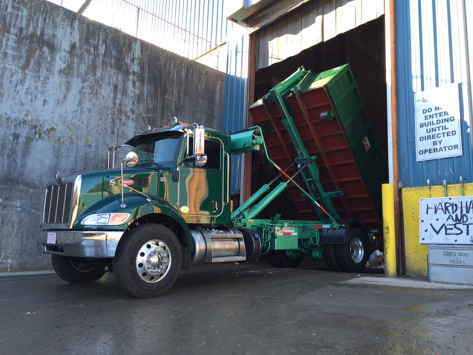 We at Orifice Recycling & Refuse have learned that each customer requires a different approach to tailor the correct application for their specific roll off request. We work with our clients and contractors in a one on one fashion to explore the most reasonable ways to get their job done rite! Some of our clients call for a special delivery location in a tight or narrow area, under low wires, on a steep upgrade, or on new driveways. We are able to achieve these goals by offering a more convenient size dumpster and delivery trucks then the large companies. In some cases our clients will request the wheels of the containers be propped up on 2x4s to prevent driveway/ pavement damage. What ever the request may be we will explore every avenue to to meet our customers expectations. 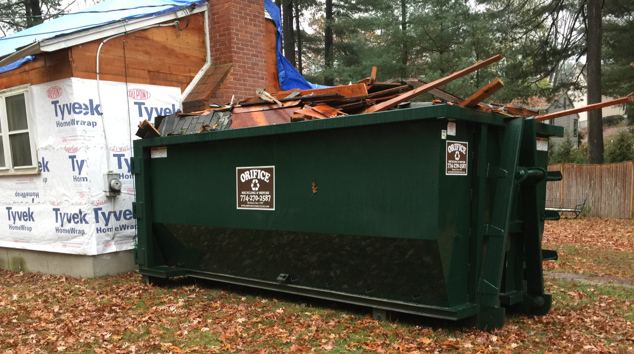 If you think you need to make some space in your shed, basement, attic, or garage, or for your next project please give Orifice Recycling & Refuse a call to arrange your specific size and delivery for that roll-off dumpster. Brought to you by the same employees who service your weekly residential and commercial needs now will deliver you one of our specific container sizes for your specific use anywhere on your driveway or property. 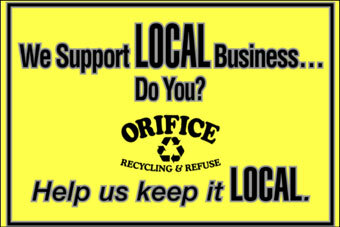 Continue to rely on Orifice for all of your disposal needs. We offer sizes ranging from 15-20yd containers. We normally offer a 24-48 hour turn around. Please call to learn more or order your container today!